Boost your performance, try something new, and learn how to step up your game with these training events planned for Adventure Sports Week. Click on each category to see the schedule of events. 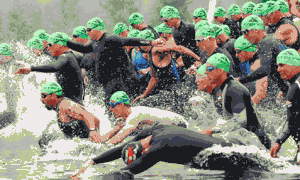 Practices – Pre-Race Rides, Runs, Swims, etc. Practice the course and get tips along the way from experienced athletes to help you perform to the best of your ability on race day. Know how to pace yourself and be aware of any obstacles by practicing the course ahead of time to eliminate some nerves and race-day jitters.